I bought Kiwi on 14th February 2010. It was the best Valentines day possible. The weather was cold and snowy each time I went to try him. I had to stop every few minutes to pick out the compacted snow from his hooves. But I hardly remember caring. I was just so excited to find such a superstar of a horse. I left school in the summer of 2009 and as my main life goal since I was 7 had been to leave school, I was super ready to be out and done. Unfortunately, the excitement of being free quickly became panic as I realised I had achieved my lifelong goal and had to figure out what next to do with my life! I sort of refused to engage with the future and any career, education, decision making processes. I had a mental cave-in (for want of a better phrase) and I became thoroughly afraid of the future, and just of life in general. So what did I do? I bought a horse. Yes I did. I was lost and stuck and sad so I got a horse. Well, actually my parents (along with money left to me by my grandparents) bought me a horse. My first Pony Club rally. Doesn’t Bud look spectacular. I was really nervous and yes I realise I’m wearing my chaps on the wrong legs! We got our horse Bud (he was just 15 hands high with shoes on) when I was 12. 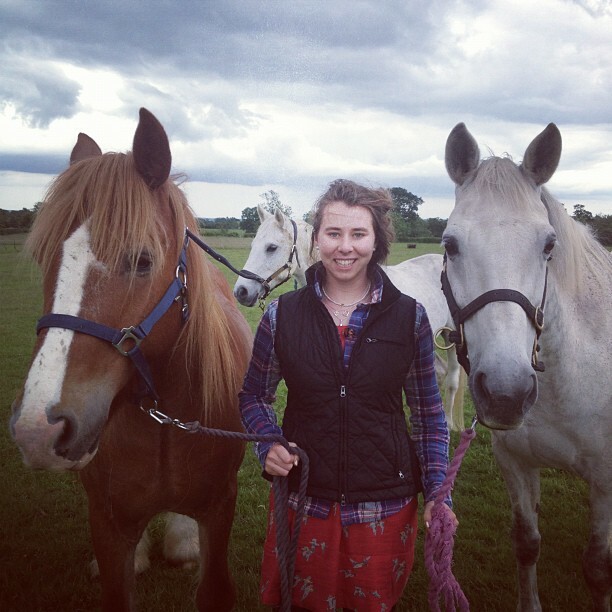 A horse for all four of us (my Mum and my sisters and me) to ride. Bud was absolutely gorgeous. A beautiful chestnut beast with fluffy feathered legs and a long ginger mane and tail. He was a mix of different breeds with a bit of welsh pony and a bit of Clydesdale in him. He was uber, uber strong and for many years I was unable to stop him when he didn’t want to stop moving himself. 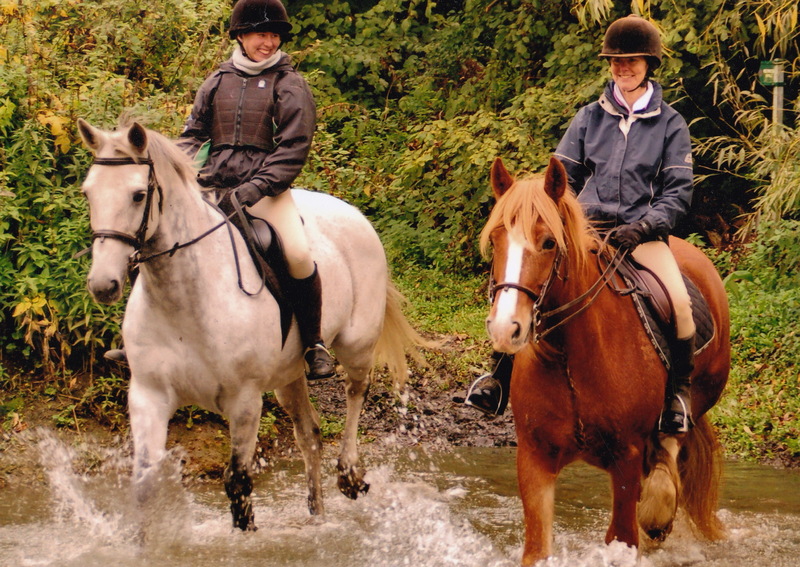 My sisters and I learnt to ride in a riding school and that was where we met Bud. He was very excited to leave the dull routine of school work and move to a livery yard with turnout. After a while my sisters lost interest in looking after Bud; mucking out his stable and poo picking his field at the local livery yard where we kept him. Bud loved wandering around the village with a group of us riding our horses together. Sometimes, it was me in the saddle and Mum walking Caspar (the labrador). Mum and I were his riders, in charge of taking care of him (grooming and cuddling him). My interest in horses has nothing but strengthened since we bought Bud. 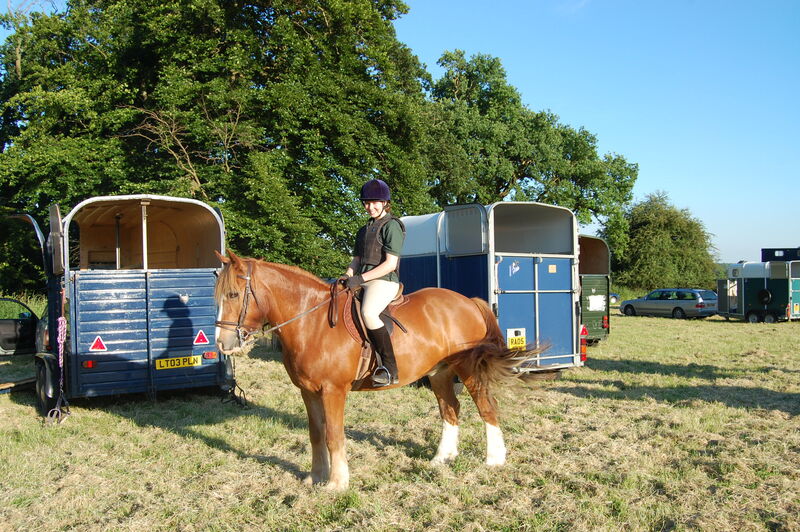 I joined the Pony Club and started taking him to small competitions and rallies. Unfortunately, as I got stronger and more confident riding, Bud developed arthritis and had to begin a slower pace of work. We were hacking him out, walking around the village but he wasn’t up to competitions or jumping anymore. He had so enjoyed being a riding horse. No-one could stop Bud when he was younger and fresh for the day, having fun, e.g. 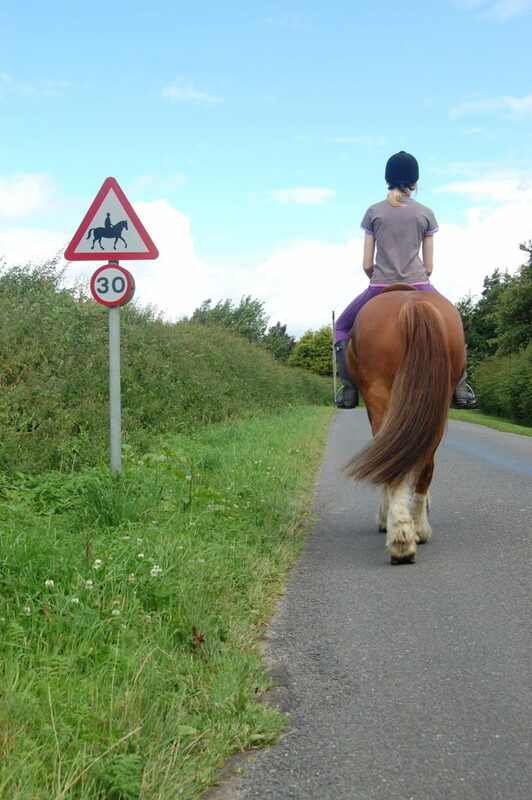 galloping a 12 mile sponsored ride as I clung onto his back and begged him to stop! This was when I bought Kiwi, my Irish sport horse. 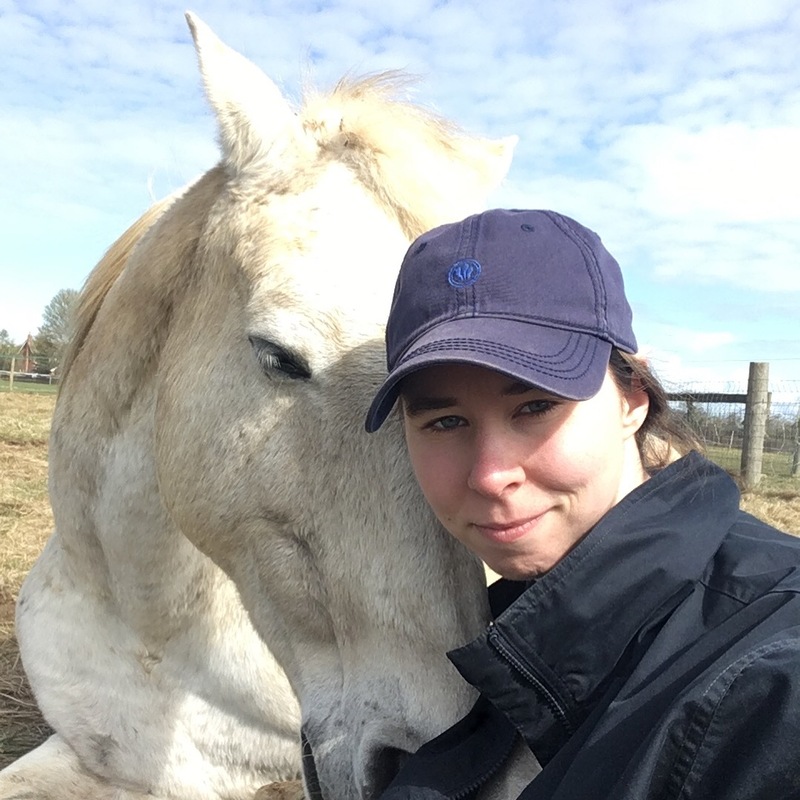 He was the perfect companion for me to ride and help me improve as a rider. Mum took over care of Bud and I had Kiwi. We were very much a team and the ‘boys’ got on really well too. Kiwi is a very laid back horse. He adjusts to new situations really quickly; moving homes and travelling to days out. My boy has only one bad habit, taking off when being led in or out. He does it on occasion, maybe when he thinks things are getting a little boring! 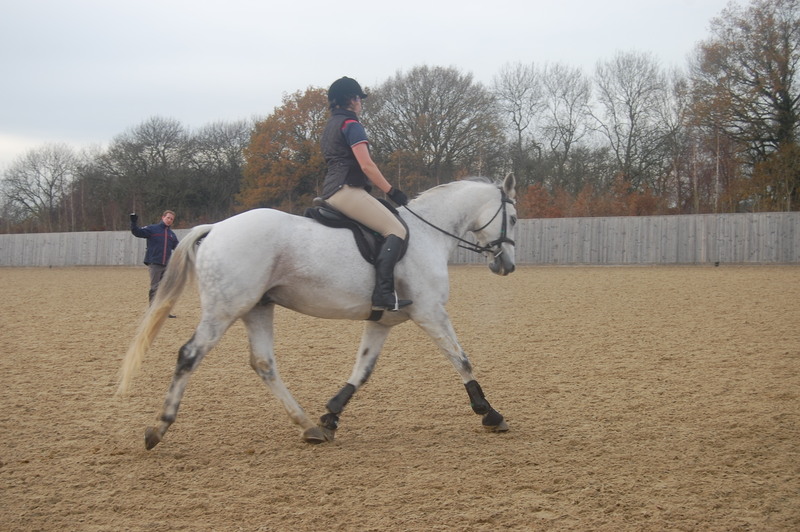 My second horse has given me bucket loads of confidence when in the saddle. Riding on the road, he is a dream, going to events he is cool as a cucumber. 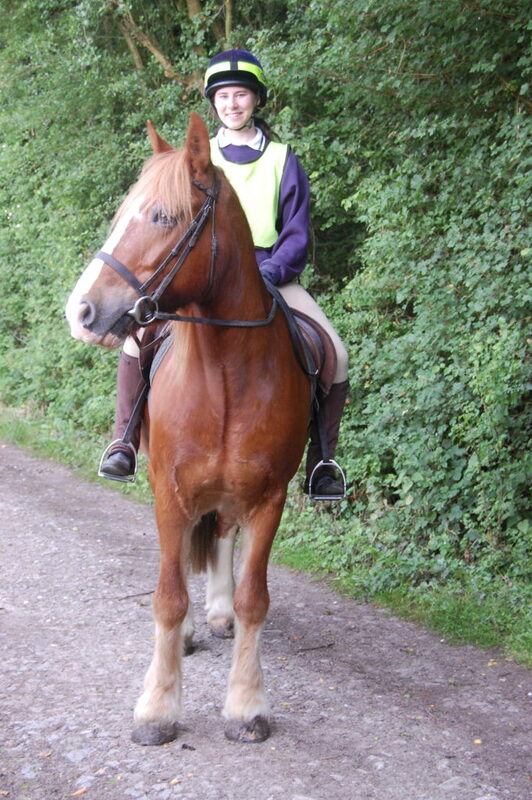 I’m not the most confident rider so he was the perfect horse for me. He loved cross country jumping, competing and day to day hacking around the village. 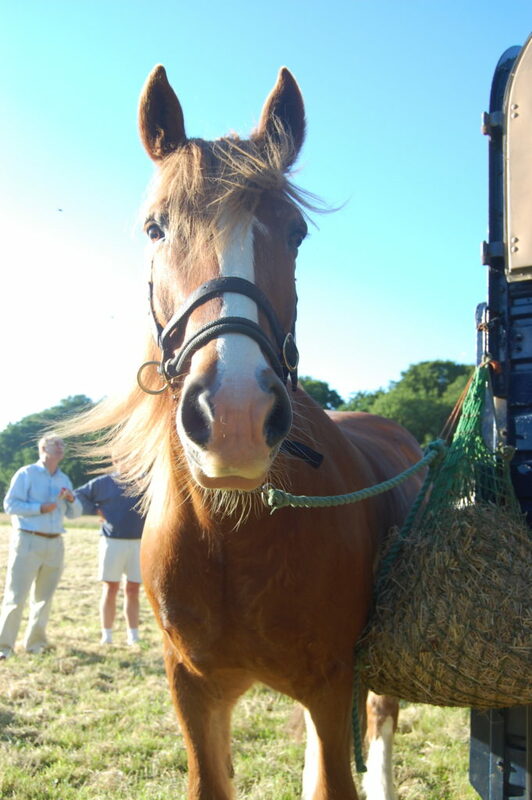 Kiwi and I went to Pony Club, we did a few unaffiliated One Day Events and I took him with me to Hartpury College whilst I studied Bio-Veterinary Science there. 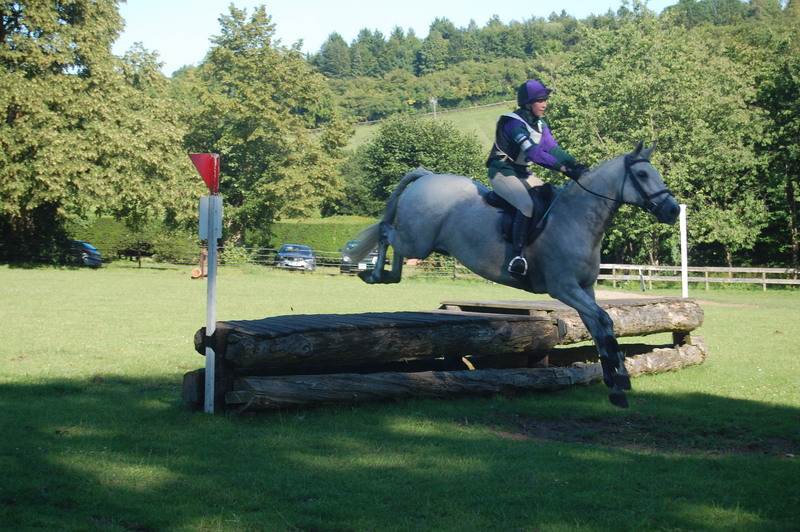 I only stayed one year because it turned out not to be my thing, but Kiwi was my superstar whilst we were in Gloucestershire. 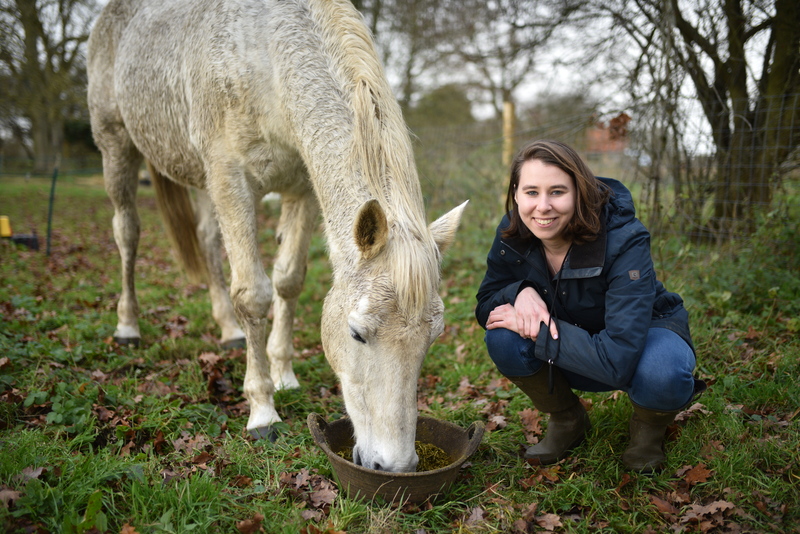 He lived on the campus livery yard for the first term and then we both moved to a local farm in the next village. I feel really proud of my time away with him. It was the first time I looked after Kiwi by myself. I spent most of everyday with him and he gave me great confidence in my abilities. Kiwi has been my star since he came to me in 2010. Unfortunately, shortly after we moved back home to Oxfordshire, he had a flare-up of an old suddenly re-occuring injury. His off hind (right back) pastern became inflamed and clearly very painful after work. It stiffened up as soon as he stood still. His tendon bundles were struggling to carry the burden of one group that were damaged. As a result, his leg went very stiff and sore as soon as he stopped moving and began to cool. 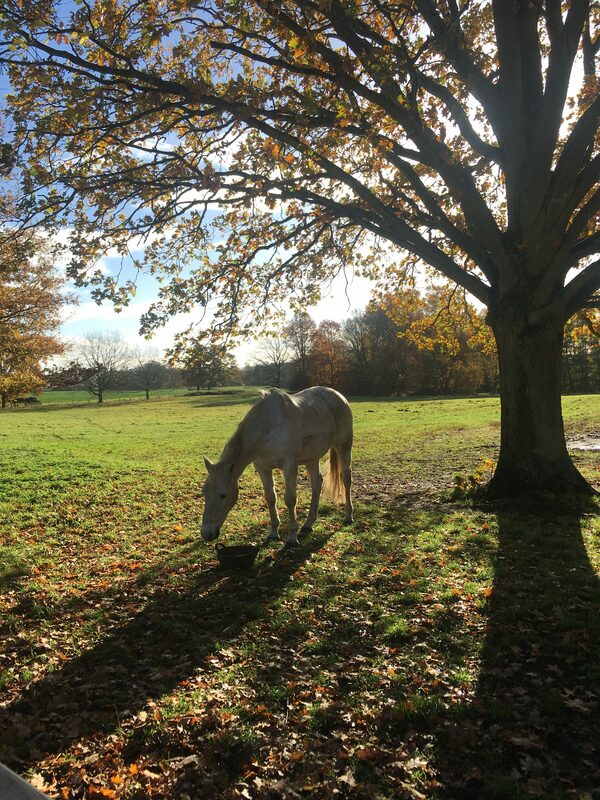 We treated him with box rest (stable rest) and bandaging for months which helped initially but eventually we saw that the discomfort returned each time I tried to bring him back into work. It was really gutting to walk him gradually for 10-30 minutes building up his strength for 10 weeks, only to see the pain and stiffness return one day as I untacked him. His injury is acute, so when it hurts, it’s bad. But if he is able to move continually and walk it off it goes away quickly too. I decided to retire him and make him as comfortable as possible on the ground. 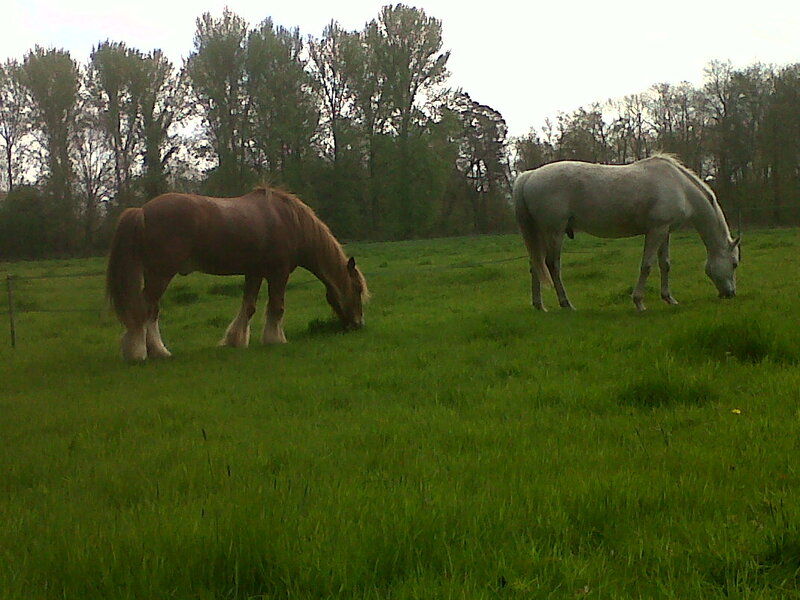 We moved Bud and Kiwi from the local livery yard to a field opposite our house in Easter 2014. It was absolutely fantastic to see them both living out full time, grazing long luscious grass and wandering around as retired horses in a herd together. The boys waiting at the gate for dinner, taken from my bedroom window. 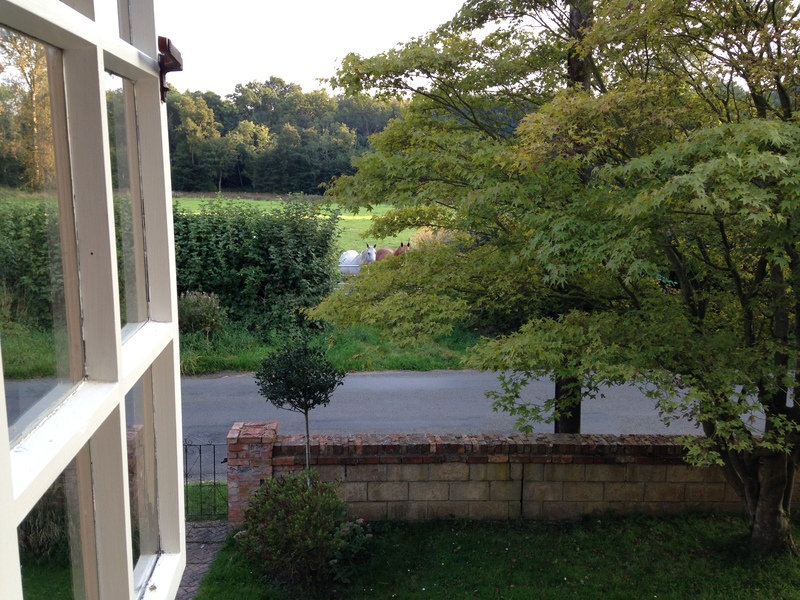 New field, new grass…. The boys enjoying their new home. Bud passed away in February 2015 from what we assume was a tumour in his intestines. Luckily he became ill quickly and died at home in his field with Kiwi a few days later. 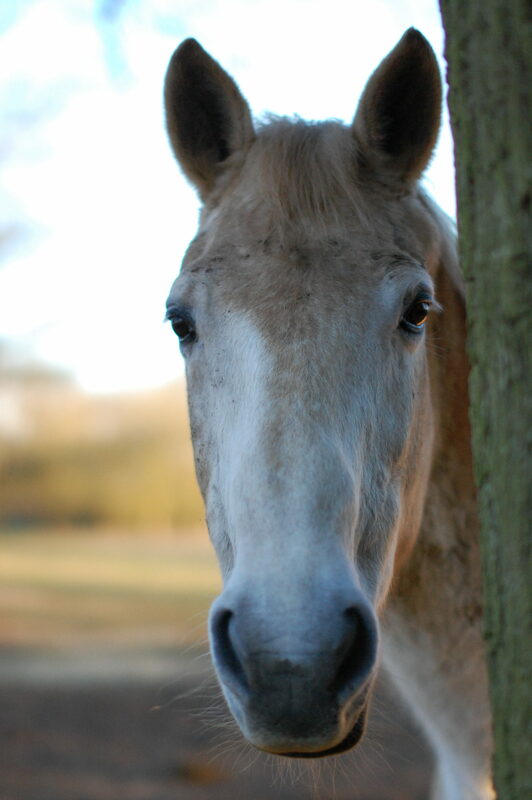 Bud was the most incredible horse and I still think of him often. He was a cuddly bear of a horse and loved attention on the ground. He was a gentle giant with the loveliest of temperaments. Kiwi processed loosing his friend for a week. Each day he would walk across the field to where Bud had died and stand staring at the spot. Then, quite suddenly he started to feel alone and we knew he needed company again. I’m incredibly grateful that Bud died at home with his friend and that Kiwi was able to understand why Bud wasn’t there anymore. I moved Kiwi just up the road to the big house where he currently lives with three ex-racing thoroughbreds and a pony called Jinx. This is where we are now. Kiwi is retired and doing really well. Occasionally he is a terror and chews the fences or takes off when I’m bringing him into the yard to have his feet trimmed. However, he is a good boy most of the time. He lost weight over the summer of 2018 because it was so dry and no grass grew. But following this, I put him on some conditioning food and he is now happily munching away on a fresh field of grass as the weather gets wetter and colder. His leg doesn’t bother him much anymore and I love that he lives out 24/7 and is able to wander his field continually. My fantastic hoof trimmer Kat keeps his feet balanced and shaped to support his injury. His day to day life revolves around eating, with an occasional break to roll in some mud! So returning to my earlier point. I found school really trying. From the early years all the way through until I left, it was a struggle. Bud and Kiwi have both been an amazing comfort to me. Sometimes, when they’ve been ill or injured and of course when we lost Bud, I’ve wondered if having animals is worth the pain and worry. But throughout it all, these magical memories I have of both my horses are just a glimpse of the joy they have brought me. Both Bud and Kiwi have been superstars for me, there for me when I didn’t even know I needed them. It’s a great privilege having them in my life. You’ve probably gathered by now (1300 words on) that I could talk about my horses till the cows come home. Instead, I’ll leave you with these photos. Hello. Might you have some food for me?